Getting the news that one of your staff is leaving usually goes one of two ways: you’re either gutted that you’re losing a valuable member of the team (and dreading the process of replacing them) or you’re secretly thankful that this particular person has decided to move on (making way for a super new employee). Either way, the resignation process can be daunting for everyone involved. So what’s the best way to manage it? Have you heard through the grapevine that someone might be looking elsewhere? Nip it in the bud and take the opportunity to talk to that person ASAP. It’s possible the reason they’re looking at leaving is superficial and easily fixed, saving yourself a lot of time and effort recruiting a replacement. Even if there’s nothing you can do to change their mind, offer to support them through the process – ensuring their exit is a positive one, to the benefit of everyone. No matter how you feel about it, you have to respect the decision of your employee. By all means do what you can to convince them to stay, if appropriate, but don’t pressure them into making a decision that they don’t want to make. In most cases, once a person has decided to leave, their mind is set. Whether you’re happy or sad about the news, you need to remember your place in the relationship and act appropriately. Did we make it easy for you to fit into the organisation? What could we have done better? What have you enjoyed most about working here and what have you enjoyed the least? What areas could the organisation improve on? How well did you feel you knew what was going on? How good are we at communicating? How would you rate this organisation as an employer and a place to work? Was it what you were expecting? How would you rate your manager as a leader of the team and how would you describe the overall feeling and morale in your team? How would you describe the organisation’s public image? This is by no means an extensive list of what an exit interview can cover off but the answers to these questions can act as a huge learning tool for your organisation, so don’t miss out on the opportunity to ask them! If you feel the departing employee might be uncomfortable bringing up any challenges they have faced while with the organisation, you can always outsource the exit interview. If someone is leaving your organisation, it’s a great time to take a look at the soon-to-be-vacant position and decide whether anything needs to change in terms of size or scope of the role – or perhaps even the structure of the team. Being strategic with your new hire can save a lot of time and money for your organisation going forwards! 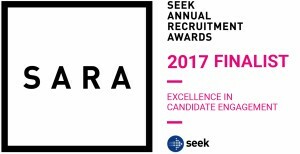 Engaging with a recruitment agency (hello!) can help with all aspects of a resignation and hiring process. From exit interviews through to helping you re-scope a role, and then finding a great replacement, we’re always here to help – so don’t hesitate to get in touch today!